Few things will get peoples’ attention like a “based on a true story” disclaimer in front of a horror movie trailer. Though this term is a fairly loose one. After all, even the recent release The Darkness used the same ploy for their film, which was loosely inspired by stories and legends from people visiting the Grand Canyon. Even Nightmare on Elm Street could claim this little tagline thanks to Wes Craven’s influence from Cambodian refugees suffering from appalling nightmares and a creepy old man who once spooked him from the street outside his bedroom. But that’s the point of using that sentence: it gets you attention. Not only will you have people immediately taking to Google to hunt for the truth, but you’ll have several articles just like this one littering the Internet. But few cases of purported “true stories” capture the American psyche quite as much as those involving Ed and Lorraine Warren. This couple is like something out of a movie themselves: the husband a self-taught demonologist and the only non-clergy member of this study to be recognized by the Vatican, while his wife is a self-identified clairvoyant and medium. But these two were (and, in Lorrain’s case, still are) real and have been connected to nearly every major episode of haunting in the last few decades of the 20th century. 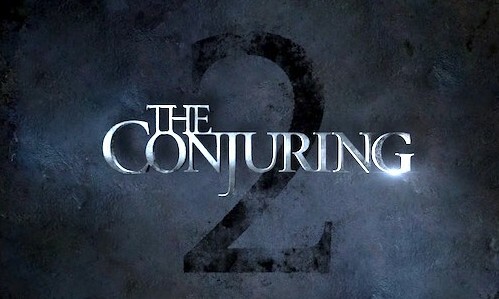 The Conjuring and its sequel (and spinoff ) are not the first films to feature a story based on the Warrens’ accounts. The various adaptations of the Amityville investigation and the Discovery Channel documentary series, as well as the major motion picture version of the Haunting in Connecticut investigation exist among other made-for-TV films based on smaller cases. But The Conjuring was the first time an adaption of one of their investigations chose to focus on their involvement. And that reignited some old arguments about the validity of their work. First of all, no matter what you believe, The Conjuring was a very good movie. It wasn’t original by any means, but what it did take from films like The Exorcist and Poltergeist, it utilized well to remind us what horror can be when you take away jump scares and found footage. And, for the most part, the film stayed fairly true to the claimed events inside the house and rumors and legends surrounding the famous previous inhabitant of the land. But, based on the trailer, The Conjuring 2 seems to be taking some major jumps in dramatic license this time around. This film is based on the famous case known as the Enfield Poltergeist in London where Hodgson family claimed to have been the victims of poltergeist activity in the late seventies. The paranormal activity was focused on the family’s two daughters though the son as well reported strange happenings in the house. Several paranormal investigative teams, and even police, investigated the claims and eventually the events and media attention ceased when a priest blessed the house in 1979. So, I thought I’d do a little in-depth research to see what’s real and what’s movie magic. Below I’ll compare how the movie is portraying events to what witnesses and third parties claimed happened. Whether you believe in ghosts or not aside, here is the fact vs. the fiction on what people claimed to have gone through and how the movie created its own dramatic spin on it. Claim #1: The Warrens were heavily involved in the case. So this is a red flag right off the bat. The movie seems to be suggesting the Warrens were heavily, and lengthily involved in the investigation of the Hodgson home, so much so that the case “still haunts us” (according to trailer dialogue). This was not the case. The main investigators on the case was the Society for Psychical Research members Maurice Grosse and Guy Lyon Playfair. And according to the former, the Warrens were only involved for one day. In fact, their presence was so minuscule that most reports and third party accounts of the ordeal don’t even mention them (which is saying something considering they are quite possibly the most famous paranormal investigators in the world). So, that does kind of beg the question why it was this story filmmakers chose to go with when there were so many others. Amityville seemed the natural choice, especially considering the first film ended with a tongue-in-cheek nod to “a case on Long Island.” But the events of that particular haunting are only going to be touched upon in this film, with several actors cast to play the DeFeo family members. Claim #2: Janet Hodgson experiences violent and dramatic levitation episodes. The film shows a scene where Janet awakens on the ceiling, having levitated in her sleep. The basis for this probably came from Ed Warren’s claims that he once saw Janet levitate three feet off her bed while she was sleeping. But in truth, the reported levitation isn’t all that important. A series of photographs claim to show Janet hovering above her bed, but even a quick peruse will reveal it appears she jumped and was snapped midair. However, two outside witnesses, a baker and a candy saleswoman, claimed to have seen her levitating in her bedroom while walking by the house. Whether or not you want to entertain the claims, fact of the matter is nothing so dramatic happened during the haunting. Claim #3: Furniture moved on its own. Okay, so this one is actually the most substantiated part of the whole thing. The trailer of course shows moving bits of furniture as that’s a staple of poltergeist horror nowadays. But it turns out a police officer herself actually signed an affidavit confirming she saw an armchair levitate about an inch from the floor and then move toward her. Which is weird. And it wasn’t just the police officer; up to 30 people had similar claims and some even said objects flew more violently across the room. So on this dramatic front, the movie seems on par with what witnesses claimed they saw. Claim #4: Crosses turned upside down and one of the ghosts was a demonic nun. The trailer portrays several scenes in which young Janet witnesses crosses turning themselves upside down and she seems stalked by a ghoulish nun (whose design seems start out of James Wan’s other film Insidious), a picture of whom is hanging in the house. Neither of these events seem based on anything. First of all, the upside down cross motif has become weirdly common in horror but has no traditional associations with evil (on the contrary, it’s actually a sign of St. Peter in some denominations of Christianity). So this is just some good ol' fashioned trendy horror creative license. As far as the ghostly nun is concerned? That, likewise, seems based in fiction. The only named ghost that I could find mentioned in this case was that of Bill Wilkins (who is portrayed in the film) who did in fact die in the house. The creepy nun seems to be the work of imagination. Claim #5: Janet Hogdson was possessed by the spirit of Bill Wilkins. The trailers show scenes of Bill Wilkins (and the virtual reality experience on YouTube also portrays him as an angry spirit) and show Janet’s possession by him. However, it seems a bit more dramatic than what witnesses claimed really happened. Most interviews mention Janet speaking in a deep voice, and identifying herself as Bill and naming the manner in which he died. Which is kind of weird but many consider this part to be the most contested out of all of it considering it seemed like she was utilizing a ventriloquist trick to alter and throw her voice. An odd thing for a child to be able to do but certainly not unheard of. Not to mention, the “voices” didn’t start until one of the investigators mentioned it, thus planting the idea in Janet’s head. Ultimately, you believe what you believe when it comes to “based on a true story” taglines and ghost-hunting shows. But the fact remains that Hollywood is taking some major leaps with this story and what we can know to be on record. The barely-involved Warrens are now the centerpiece and events that have been since concluded by many to be the work of mischievous children playing tricks on adults has become a full-blown horror drama. And while the real Janet Hodgson isn’t happy about the upcoming film, at least we can say this heavily fictionalized version of the events of the Enfield poltergeist are going to be entertaining.